When it comes to beautiful skin, Brazilians are obsessed. Channel Rio-worthy radiance with this rich yet lightweight body cream, which contains an infusion of Amazonian açaí oil (the antioxidant powerhouse in its purest form) to fight against free radicals and keep skin supple, resilient and replenished. 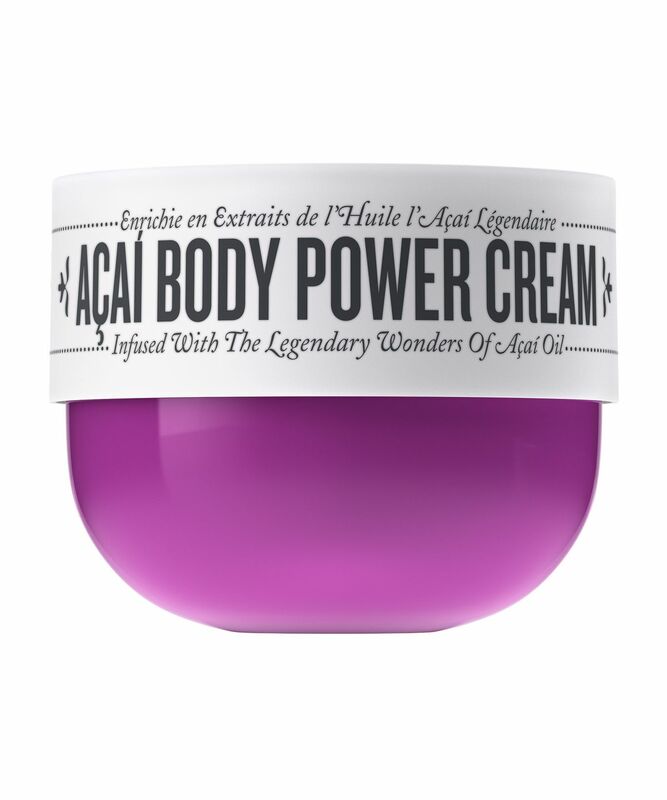 Harness the power of superfoods in your moisturiser with Sol de Janeiro’s Acai Body Power Cream. For soft, exposure-ready skin from top to toe, this delicious body cream is infused with açaí oil – celebrated for its super-charged antioxidant properties – which actively fights free radicals to keep skin looking youthful, supple, resilient and replenished. 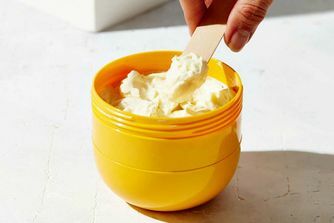 Ensuring that skin feels as luscious as it looks, the featherweight formula is further enhanced with nourishing cupuaçu butter and super-conditioning coconut oil, while the fragrance is totally moreish… so delicious you’ll want to eat it. Use it whenever and wherever your skin feels thirsty – from morning showers to moonlit meanders, you’ll be caring for your body like a true ‘Carioca’ (that’s a person from Rio de Janeiro, don’t you know). Massage in a circular motion all over the body to revitalize and get your glow on. Water (Aqua/Eau), Dodecane, Methyl Glucose Sesquistearate, Fragrance (Parfum), Phenyl Trimethicone, Caprylic/Capric Triglyceride, Cetearyl Alcohol, Glycerin, Cetyl Alcohol, Euterpe Oleracea (Açaí/Açaï) Fruit Oil, Theobroma Grandifolium (Cupuaçu) Seed Butter, Cocos Nucifera (Coconut/Noix de Coco) Oil, Bertholletia Excelsa (Brazil Nut/Noix du Brésil) Seed Oil, Ilex Guayusa Leaf Extract, Sodium Hyaluronat Glyceryl Stearate Citrate, Glyceryl Caprylate, Sodium Stearoyl Glutamate, Sodium Phytate, Hydroxyethyl Acrylate/Sodium Acryloyldimethyl Taurate Copolymer, Squalane, Polysorbate 60, Xanthan Gum, Phenoxyethanol, Ethylhexylglycerin, Mica, Anise Alcohol, Butylphenyl Methylpropional (Lilial), Citral, Citronellol, Eugenol, Geraniol, Limonene, Linalool, CI 77491 (Iron Oxides), CI 77891 (Titanium Dioxide). 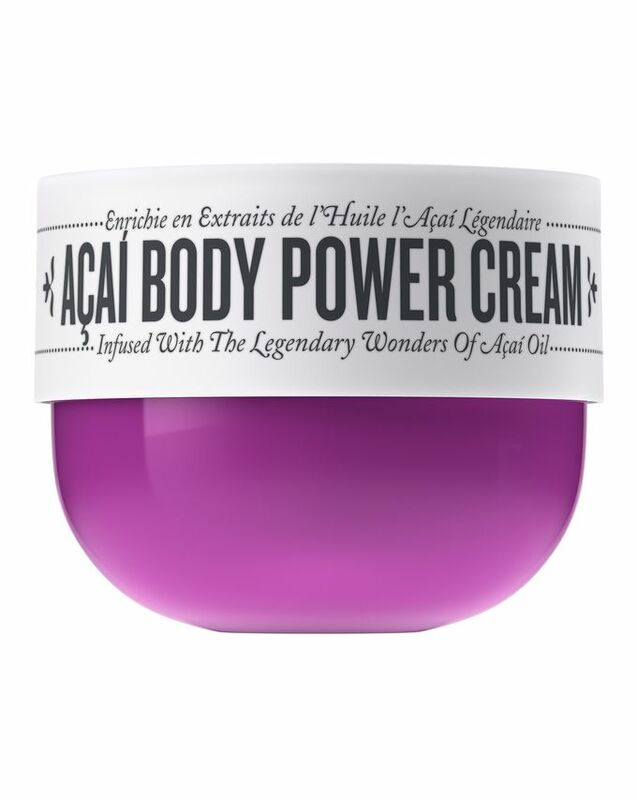 I am so addicted to this açaí body power cream as much as the bum bum cream, leave my skin soft and satin smooth, love the glitter as it’s not over the top, and smells heavenly! My boyfriend loves it! My skin is very sensitive, this cream doesn’t leave me with any allergy reaction. I am still waiting for the big tub, sold out still.. can’t wait! This is pricey, but it goes a long way. It smells divine and is really soft on your skin. The packaging is cute and overall a lovely product, I would buy again. Admittedly this is a REALLY NICE cream when I put in on my legs and bum they looked AMAZING in natural lighting and photos. No greasy feeling after, the skin didn't feel dry until I washed it off in the shower (which rarely happens, my skin starts feeling tight and on the verge of cracking after a few hours of putting on lotion). Smells great too. BUT THE PRICE OH MY GOD. 44 pounds for a tiny tub of cream is not the way to go. What's the point of having amazing skin if I'm going to be homeless after spending all my money on body cream? I really can't justify the price of this. It's a lovely cream but so not worth your hard earned money. I honestly can achieve the same result with a coffee-coconut oil scrub and mix my lotion with some highlighter. This smells gorgeous and goes on like a dream. I purchased the smaller pot to make sure that I liked it and also to make sure I was not allergic to the ingredients, as I have sensitive skin. Happily I loved the product and I was not allergic - I will definitely be buying the big pot when this small one runs out. This smells different to what I expected. It's not sweet or fruity, its a very soft, airy, soapy floral scent. Makes you smell so fresh and clean and it left my skin extremely soft and you only need a little bit. Just like the Bum Bum, it has little sparkles in it. To me, it is not worth the price tag. It doesn't hydrate as good as the rest of my cheaper body creams. Not a fan of the scent, as it turns a bit plastic-y on my skin; as if you applied body cream on a plastic doll. The one thing I didn't mind about this cream, is the glitter. I'm pregnant and love using this cream to keep me moisturised and (hopefully) free of stretch marks. It leaves a cute glitter on the skin and the smell is divine. I also have sensitive skin but have not had any negative reactions to this cream. I initially bought the small size and then quickly realised I would love it so I ordered the big size too. Whilst there is no doubt of the quality of this cream and the ingredients, I know I won't be able to justify the expense once the baby is here. It's just too pricey for everyday use. Leaves my skin soft and glowing. Wish the scent was a bit sweeter. I adore this body cream - it smells amazing, sinks in quickly and leaves my dry skin moisturised but not sticky.